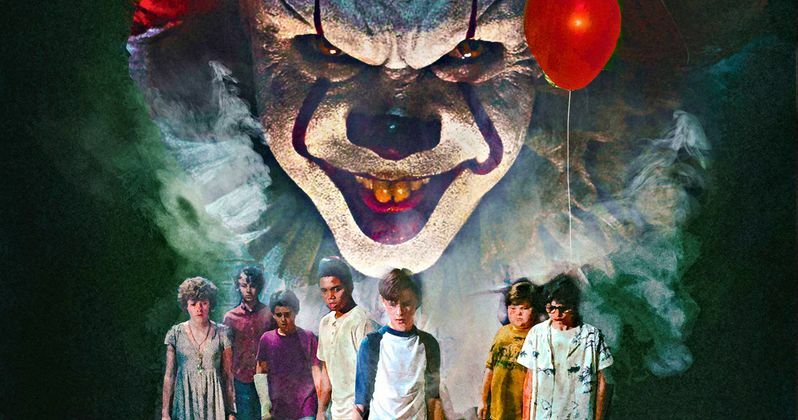 Cary Fukunaga, the director behind the first season of HBO's True Detective and Netflix's Beasts of No Nation, was originally supposed to be at the helm for New Line and Warner Bros.' adaptation of Stephen King's IT. In 2015, he departed the project over creative differences and that was that. Andy Muschietti eventually was brought in and he shepherded the movie to great success. Now, Cary Fukunaga has opened up about leaving the project. Creative differences quite often cause rifts between studios and directors, but the precise details regarding those differences are often a bit blurry. Cary Fukunaga now says that he left IT behind because there was tension between himself and the producers as they felt he couldn't be controlled. Here's what he had to say about it in a recent interview. "I think it was fear on their part, that they couldn't control me. No, they thought they couldn't control me. I would have been a total collaborator. That was the kind of ridiculous part. It was just more a perception. I have never seen a note and been like, f*** you guys. No way. It's always been a conversation." Under the direction of Cary Fukunaga, it would have been We're the Millers star Will Poulter as Pennywise, as opposed to Bill Skarsgard, who ultimately went on to play the part. The general consensus seems to be that worked out quite well. Fukunaga also wrote his own version of the script and, while he maintained a writing credit, much was changed during further development that took place in the wake of his departure. Gary Dauberman came in and did a major rewrite. Apparently, the studio liked what he did, as he was brought back to pen IT 2. There was a sense that Cary Fukunaga was an auteur in the true sense of the word. That he was uncompromising in his vision and that such a director might make things tricky come time for cameras to begin rolling. Fukunaga also talked a bit about this, saying that the concept of him being uncompromising simply isn't true. "I don't think I've ever been able to make something uncompromising. Like, someone commented on Beasts, 'Oh, how did it feel to make a movie that's uncompromising?' Like, uncompromising? I had to rewrite my entire third act 'cause we didn't have the money to finish the film. We compromise all over the place." Ultimately, IT turned out to be a tremendous success. The movie grossed more than $700 million worldwide and was met with a whole lot of praise from critics and fans alike. The studio quickly got working on the follow-up, IT: Chapter 2, which will arrive in theaters next September. Andy Muschietti was brought back to direct the sequel as well. As for Fukunaga? He's got his Netflix series Maniac coming down the pipeline, which reunites Superbad stars Emma Stone and Jonah Hill. It seems as though things worked out well enough for everyone. This news comes to us from GQ.